Gorgeous newer construction townhomes in Aqua Vista North Miami Beach built in 2006. Located just west of Biscayne Blvd and Dixie Highway the community of Aqua Vista townhomes is a desirable and affordable place to live. Two story Mediterranean style townhomes offer over 1100 square feet of living space and feature three bedrooms with two and a half bath. Desirable location close to area beaches, fine dining and all the amenities. Only a short drive to all major roads like RT1 I95, about 30-minute drive to both Fort Lauderdale and Miami International Airports. 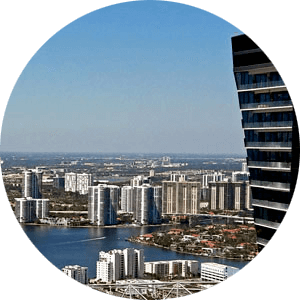 Low maintenance fee which includes exterior maintenance, insurance, pool maintenance, and so much more Aqua Vista Townhomes is worth a look if you are looking for an affordable residence that is closely located to everything in the North Miami Beach.